Rich Eisen was the first on-air talent added to NFL Network’s roster in June 2003, five months before the network’s launch in November 2003. Eisen hosts NFL Total Access Kickoff on NFL Network every week prior to the Thursday Night Football matchup. Since 2010, Eisen has served as host of the Emmy-nominated NFL GameDay Morning on NFL Network, the most comprehensive NFL pregame show on television. Eisen also anchors NFL Network’s special on-location coverage of the NFL Draft, NFL Scouting Combine, Pro Football Hall of Fame Induction Weekend and Super Bowl. Eisen is the host of the Emmy-nominated Rich Eisen Show on DIRECTV’s Audience Network, AT&T SportsNet channels in Pittsburgh, Denver and Seattle, and NFL Now. The Rich Eisen Show airs Monday-Friday from 12 Noon – 3:00 PM ET and allows Eisen to use his engaging blend of insightful football expertise, with an offbeat mix of humor and pop culture while continuing to attract the most recognizable names in sports and entertainment. A four-time Sports Emmy nominee in the Outstanding Studio Host category, Eisen has also served as emcee of the Pro Football Hall of Fame induction ceremony in Canton, OH. Prior to joining ESPN, Eisen worked at KRCR-TV in Redding, California, as a sports anchor (1994-96). His television journalism career includes serving as the Medill News Service’s Washington correspondent (1994) and as a production assistant for the CBS Evening News with Dan Rather and Connie Chung in 1994. In 2007, Eisen penned Total Access: A Journey to the Center of the NFL Universe about his experiences as host for NFL Network. He worked in print journalism as a staff writer for the Staten Island Advance (1990-93) and at the Chicago Tribune covering Chicago public high school football and basketball (1993-94). Eisen is a graduate of the University of Michigan with a Bachelor of Arts degree in Communications and earned a Master of Science degree in Broadcast Journalism from Northwestern University’s Medill School of Journalism in 1994. Eisen resides in Los Angeles with his wife and long-time ABC, FOX and TNT sports broadcaster Suzy Shuster. Together, they have three children and two rescue dogs. 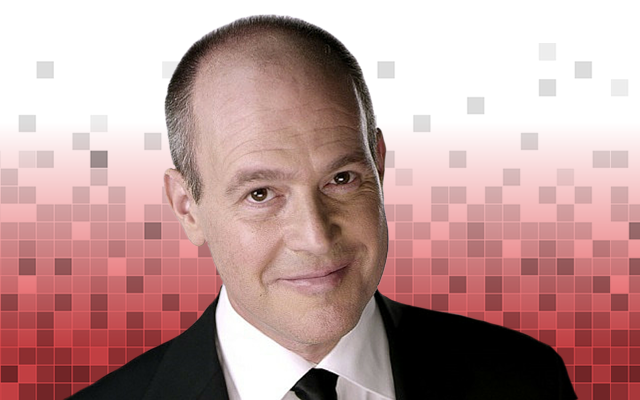 Known for his work on the NFL Network, Rich Eisen continues to cover today’s hot sports topics on radio! The program features his engaging blend of insightful football analysis, with an offbeat mix of humor and pop culture while continuing to attract the most recognizable names in sports and entertainment. Weekdays Noon to 3pm.